WCAI, the only locally-produced and locally-broadcast public radio station for southern Massachusetts’ coastal communities, is now heard across the entire Cape and on all of Nantucket and Martha’s Vineyard. The local NPR station is also now available throughout much of the South Coast and across parts of Aquidneck Island in neighboring Rhode Island. By increasing its flagship signal on 90.1 FM from 1,200 watts to 12,500, WCAI is making local coverage of local issues accessible to more people on the Cape and Islands. “WCAI, the Cape and Islands NPR station, is committed to broadcasting local stories that are reported, produced and broadcast by local residents. For years, too many of our neighbors on parts Cape Cod and Martha’s Vineyard could not hear our signal and missed important coverage about the issues that are uniquely important to Massachusetts’ coastal communities. 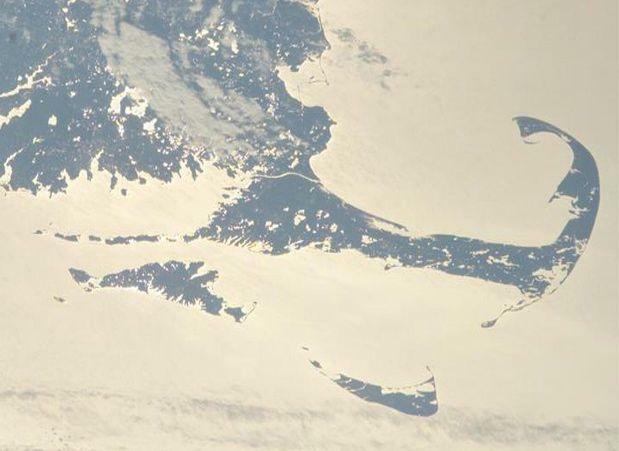 Now, more than 200,000 additional listeners – plus millions of fish in Cape Cod Bay, Nantucket Sound and the Atlantic Ocean – will have a clear signal and clear access to the region’s only locally-produced and locally-broadcast public radio station,” said WCAI managing director Mindy Todd. WCAI is investing in local stories and local voices. No other public radio station offers Cape and Island residents uniquely-produced stories from reporters and producers who live and work in Massachusetts’ coastal communities. WCAI is home to the Living Lab desk, as well as several local talk programs including The Point with Mindy Todd, Bird News, The MVY Music Hour and local editions of NPR’s Morning Edition and All Things Considered. In May 2013, WCAI announced it would bring back the beloved MVY Music Hour, a monthly local music program hosted by Barbara Dacey, a familiar radio voice on Martha’s Vineyard since 1985. The revamped MVY Radio Hour on WCAI features archival interviews and one-of-a-kind performances from WMVY’s decades of local music and arts coverage. WCAI worked with Dacey and former WMVY Program Director PJ Finn to preserve WMVY’s tradition of broadcasting local music to local audiences after Boston-based public radio station WBUR purchased 92.7 FM, the former home of WMVY, taking local music broadcasts off the air. In addition to expanding WCAI’s wattage on 90.1 FM, the newly installed transmitter will allow WCAI to be the Cape and Islands’ first local radio station to broadcast in HD. WCRB, the listener-supported Classical radio station broadcast by WGBH Boston, will broadcast across the Cape and Islands on 90.1 HD2. WCAI Cape and Islands NPR continues to also broadcast on 91.1 WNAN on Nantucket and 94.3 WZAI, which reaches mid and outer Cape communities. WCAI is a locally-produced service of WGBH Radio. WCAI, the Cape and Islands NPR station, is broadcast on 90.1, 91.1 and 94.3. The station is listener-supported public radio serving Cape Cod, Nantucket, Martha's Vineyard, and the South Coast. Founded by local residents, WCAI is a service of WGBH Radio. Recipients of a 2007 duPont-Columbia Award, WCAI strives to celebrate the uniqueness of the communities they serve while discussing common issues.